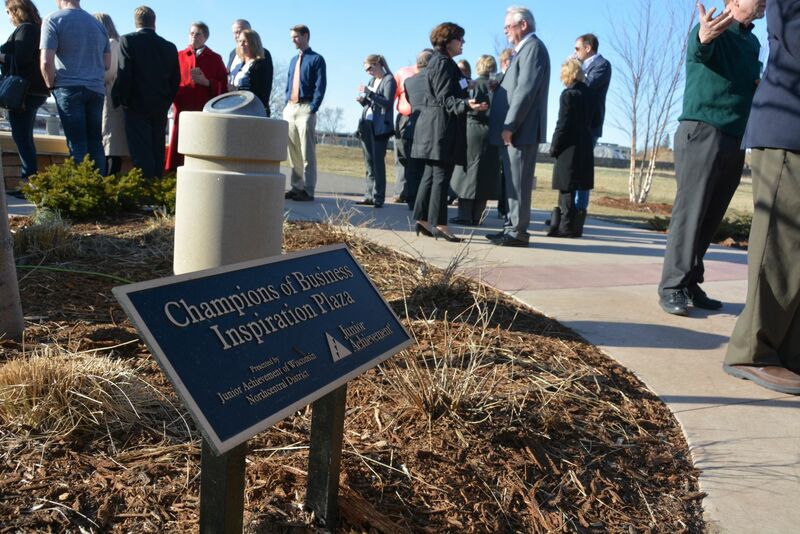 To celebrate the 10th year of our Champions of Business event, Junior Achievement of Wisconsin – Northcentral District introduces the new Champions of Business Inspiration Plaza. 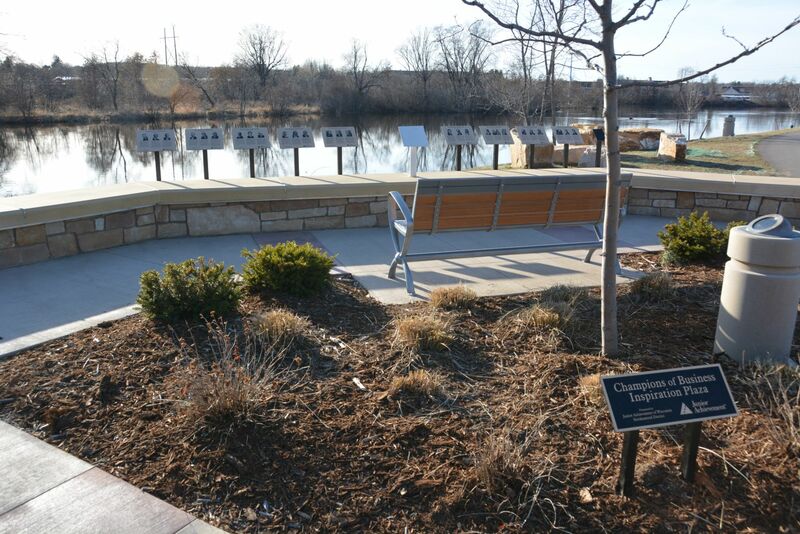 JA has installed a unique and inspiring display honoring our area’s most distinguished business leaders of the past at the entrance to Barker Island, on the riverlife walkway just south of WOW. Junior Achievement is a non-profit organization with strong community support that helps teach our area students about business and our economy as well as the value of entrepreneurship. Our Champions of Business program highlights the values, hard work and successful management strategies of our area’s most accomplished business leaders. To maintain a strong, historic perspective to this program, we only honor business leaders who no longer are involved in their business, but have clearly demonstrated a strong track record of economic success and community support. We encourage students and others in the community to visit our website www.championsofbusiness.org to find out more about these “champions” and the attractive Wausau area economic environment that has nurtured so many leaders and successful businesses in the past. Our goal is to inspire our young people to remain in or return to our area to start businesses of their own—or work for currently thriving businesses.